It is essential to have proper oral hygiene at an early age because what your children eat affects their teeth as well as overall health. Consuming too much sugar, starch, and carbohydrates can cause cavities and tooth decay. As a responsible parent, you must teach them to eat right and make healthy choices. Instead of snacks that are rich in carbohydrates, you can teach your children to eat vegetables and fruits instead. They contain water and essential nutrients such as vitamins and minerals that can help them develop strong teeth. Serving aged cheeses like cheddar and swiss as a snack or with lunch can help trigger the flow of saliva in the mouth which helps to maintain oral hygiene. Food like raisins, honey, oatmeal, granola bars, jelly beans, and peanut butter cookies tend to stick to teeth, making it difficult for saliva to wash down the remaining particles. Ensure that your child brushes their teeth soon after eating. Kids love chocolates and sugary treats. Serving your child sweets and desserts after mealtime is your best bet to avoid cavities or tooth decay. The increased flow of saliva in the mouth helps to wash away the treats. Treats such as lollipops and candies tend to linger on the teeth. Try to find healthy substitutes for them. Calcium helps your child to develop strong teeth which is why you must include calcium-rich foods such as yogurt, milk, spinach, almonds and broccoli in their diet. It is wise to encourage your child to have sugar-free foods. For instance, you could buy them juices instead of soda or other sweetened drinks. Use a small amount of toothpaste for your child. Brush their teeth twice a day. After every meal, have them rinse their mouth. It is important to floss their teeth every day to remove any particles stuck between the teeth and gums. Be Sure to Give Them Water to Rinse Their Mouths After Giving Them Medicine. Medicines such as syrups and cough drops contain sugar which is used by the bacteria in the mouth to make acids, weakening the enamel. Make sure to rinse their mouth when they have such medicines. 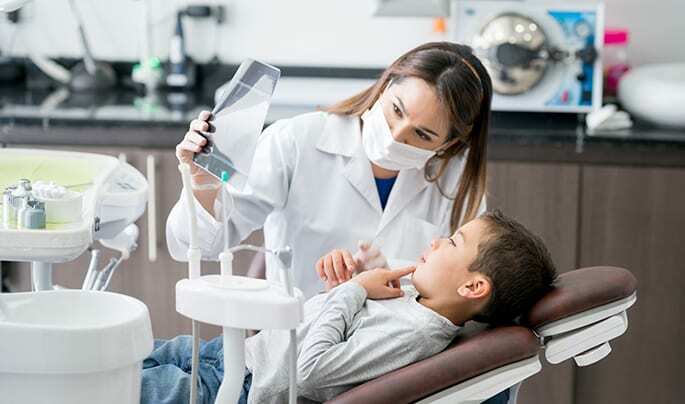 Taking your kids regularly to a dentist is crucial to promote good oral hygiene habits as well as to keep their teeth healthy. It will also help identify any dental problems early. 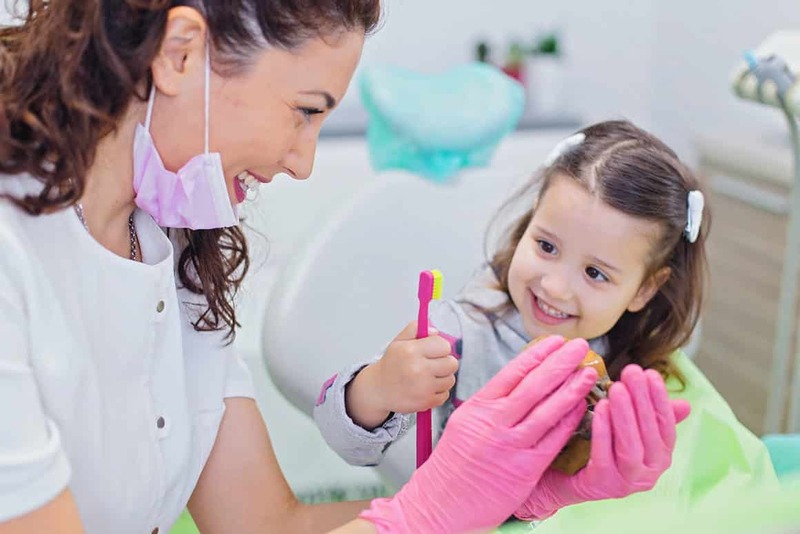 At Westboro Dental Clinic, we offer excellent dentistry services for kids. If you need to schedule an appointment or are not sure of what you should be using to maintain their oral health, get in touch with our professionals by calling 613-722-4450. You could also reach out to us using our online form.